The Wood-Grilled Fresh Fish Experts at Bonefish Grill are celebrating the holiday season in a big way with the December 1 launch of a new Winter Menu featuring delights like Lobster Stuffed Shrimp with a creamy lobster and shrimp Imperial stuffing and succulent Pompano. With dishes indulgent to make any fête festive, Bonefish Grill’s Winter Menu also includes Filet and Colossal Shrimp Scampi – a 6 ounce USDA Choice filet mignon topped with colossal shrimp, scampi butter sauce and served with steamed broccoli and garlic whipped potatoes. If readers fancy fish, the Mahi Mahi Oscar, wood-grilled and topped with lump crab, asparagus and lemon butter sauce is sure to impress. 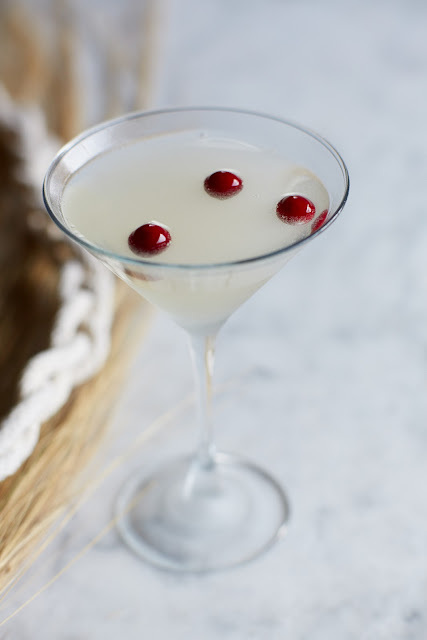 Pair these with Bonefish Grill’s signature seasonal cocktails – a Grapefruit Martini or the guest favorite of the year Winter White Cosmo, featuring Reyka Vodka, Cointreau, St.Germain Elderflower liqueur, white cranberry juice and fresh lime juice – both handcrafted to order. A BoneFish Grill Gift Card is a great gift to give this holiday season! If you’re looking for holiday gifts in addition to a great meal, receive a $10 Bonus Card for every $50 you purchase in gift cards now through December 31. Plus, enjoy Free Gift Card Personalization with a greeting card and Free Standard Shipping when you purchase online, or pick them up at your local Bonefish Grill! Go here to find a BoneFish Grill near you! Yum, I love visiting our local BoneFish Grill! Stay connected with BoneFish Grill on Facebook, Twitter and Instagram! 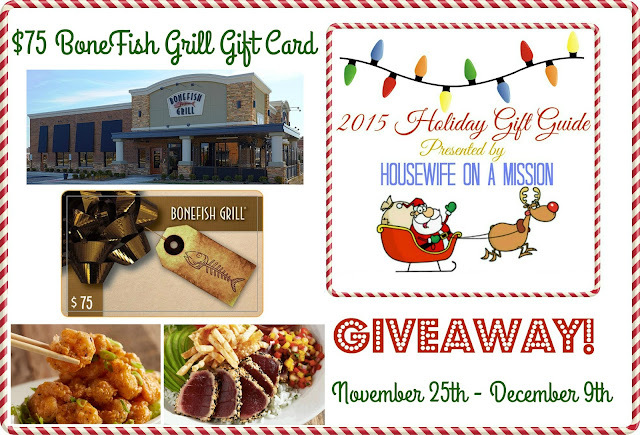 One of our readers are going to win a $75 Gift Card to BoneFish Grill! Disclosure: Housewife on a Mission is not responsible for prize fulfillment or shipment to giveaway winner. Winner will be drawn at random then emailed and will have 48 hours to respond to claim their prize. If no response is given, another winner will be chosen. Facebook, Twitter, Pinterest, and any other social media are not affiliated with this giveaway. I've never eaten at Bonefish Grill but would love to. I would like to try the Sea Scallops + Shrimp.